With a tag line like that, who wouldn’t be enticed? I had been waiting for an opportunity to cross the border to indulge in this ever so craftily marketed yogurt. Bloody hell…I wanted to cross the border for yogurt? Yogurt is definitely one dairy product that doesn’t get the attention it deserves. 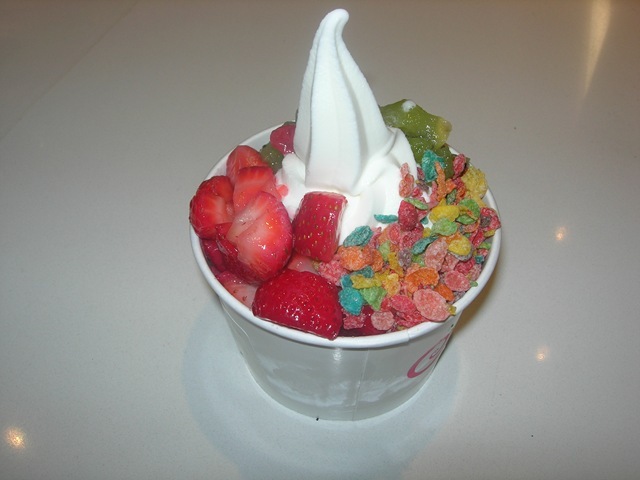 Mostly considered a meal on the go, I have never met someone who was excited about eating yogurt for dessert. If you were presented with the option of yogurt, or ice cream, I am pretty certain that I know which you would reach for. I first came to know of Pinkberry through a TV show which I will fail to plug here, because it is completely and utterly embarrassing to divulge that I used to watch it. Two girls sit outside a Pinkberry location in Los Angeles discussing whether they should go to the gym or not. They discuss the toppings on their frozen yogurt, namely the fruity pebbles, and decide to ditch the gym and bask in the glory of this low-calorie dessert/snack/whatever you want to call it. 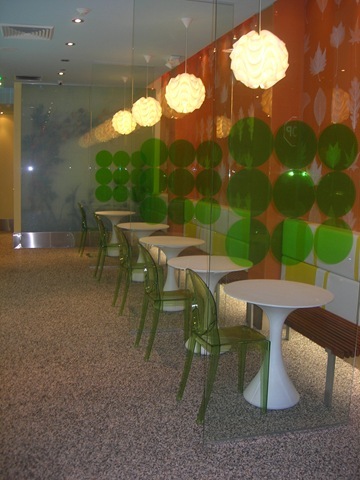 So I went to Los Angeles, sat in that very Pinkberry shop, and enjoyed a cup of swirly goodness. Frozen yogurt never tasted so good to me. The yogurt was delicate, sweet, and lacked the acidic twang one would expect. 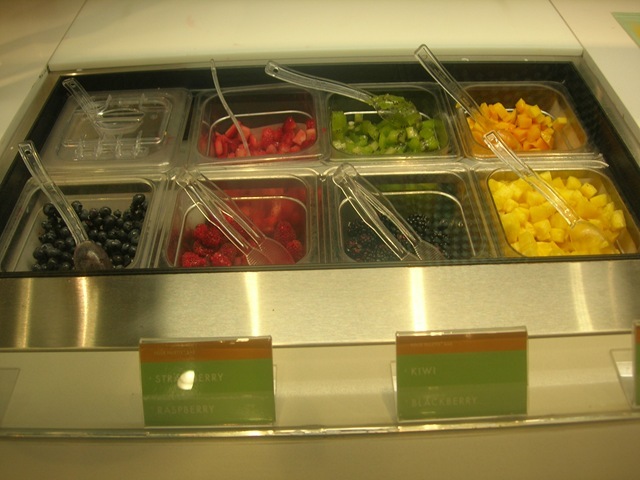 The toppings were delicious fresh cut fruit that were ripe, sweet, and gently froze when placed on the white billowing frozen peaks. I felt good about eating it. There was nothing about ice cream I missed. Coming back to Hollywood North, I knew I was going to miss my new found obsession. Life would not be the same. That is until I discovered Yogen Fruz’s new “Top It” frozen yogurt. Low and behold, it had the same magical swirl, similar toppings, and most importantly almost the same taste. I wasn’t going to be missing anything after all. Top It is in the midst of catching on with Canadian consumers whose loyalty currently rests with Yogen Fruz’s classic blended yogurt treats. Give it some time, and I’m sure that we will be seeing swirly goodness all over town.